January | 2012 | What's New at Rainnea Ltd.
Here’s a recently completed commission we made for Bryan, his brothers and his son. 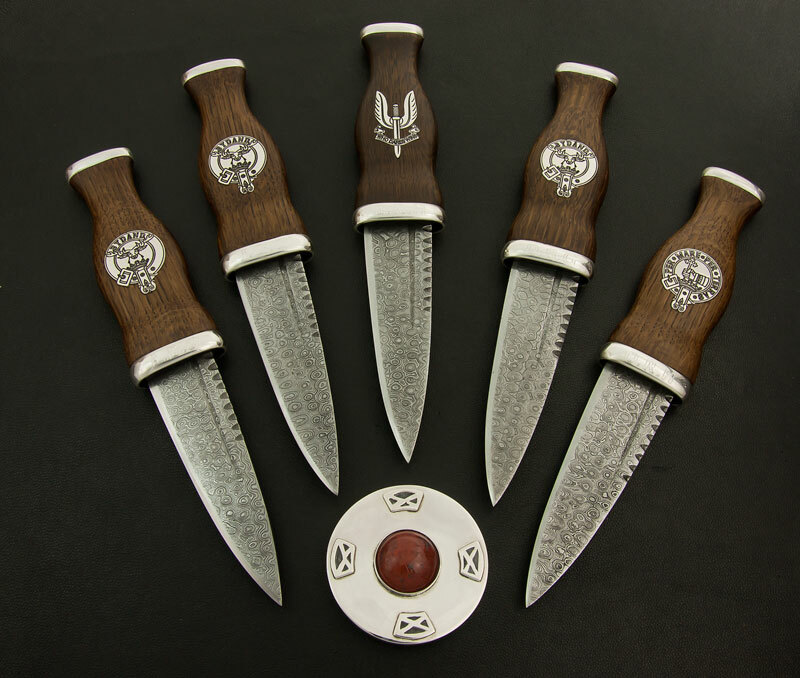 The handles are carved from an Isle of Jura Whisky barrel and are inlaid with Sterling Silver clan and regimental crests. The blades are of Damascus steel and each individual’s initials are engraved on the lower silver ferrule band. The Pommels were of Fife Red Jasper and we provided a brooch from Nat at Scottish Gemstones with a matching stone. 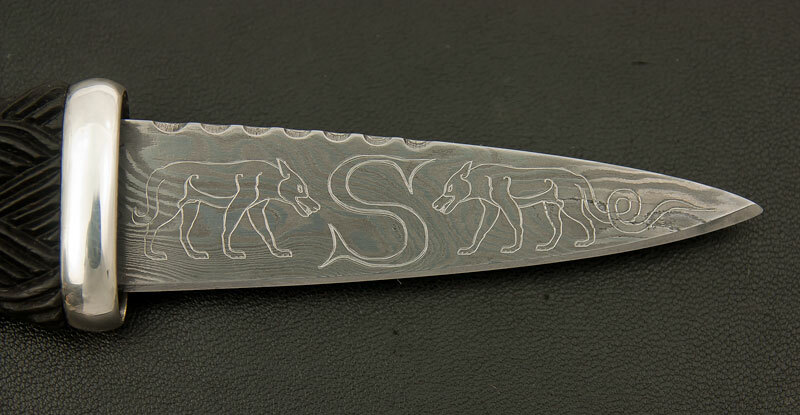 Here’s a recent commission featuring the engraving of a pair a Pictish Wolves and the letter ‘S’ upon a Damascus blade. It’s very hard to photograph the diamond point engraving – it’s clear when it catches the light but otherwise doesn’t detract from the natural blade pattern so we have to angle the blade just right to catch it. The wolf design is recreated from a broken carved Pictish stone currently at Inverness Museum but originally from Ardross.